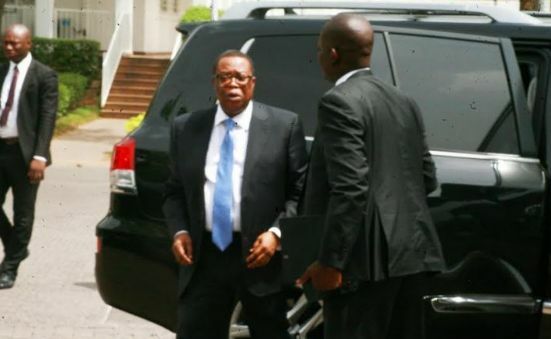 The suspended director-general of the National Intelligence Agency (NIA), Ayo Oke, on Monday appeared before the panel set up by President Muhmmadu Buhari to investigate monies recovered by the Economic and Financial Crimes Commission (EFCC) in Ikoyi, Lagos. Oke had said the monies belong to his agency. Subsequently, Buhari suspended the intelligence chief and set up a three-man panel to probe him and get to the root of the saga. On April 12, the EFCC discovered $43.4m, N23.2m and £27,800 at an apartment in Ikoyi. Vice-President Yemi Osinbajo was named head of the committee, which has Abubakar Malami, attorney-general of the federation and Babagana Munguno, national security adviser, as members. On Monday, the panel commenced its meeting around 1pm. Lawal Daura, director-general of the Department of State Services (DSS) and Ibrahim Magu, acting chairman of the EFCC, had appeared before the panel on Friday. Critics of the government have said nothing good will come out of the investigation. But Osinbajo is known to handle his assignments with diligence. We he'll deliver.